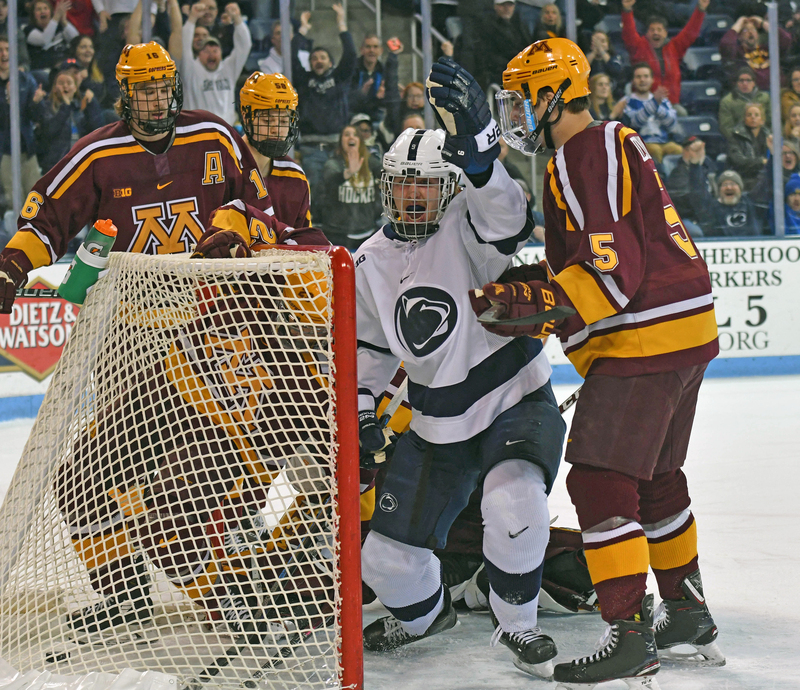 Penn State's Alex Limoges (9) celebrates his goal during the 7-2 win over Minnesota. 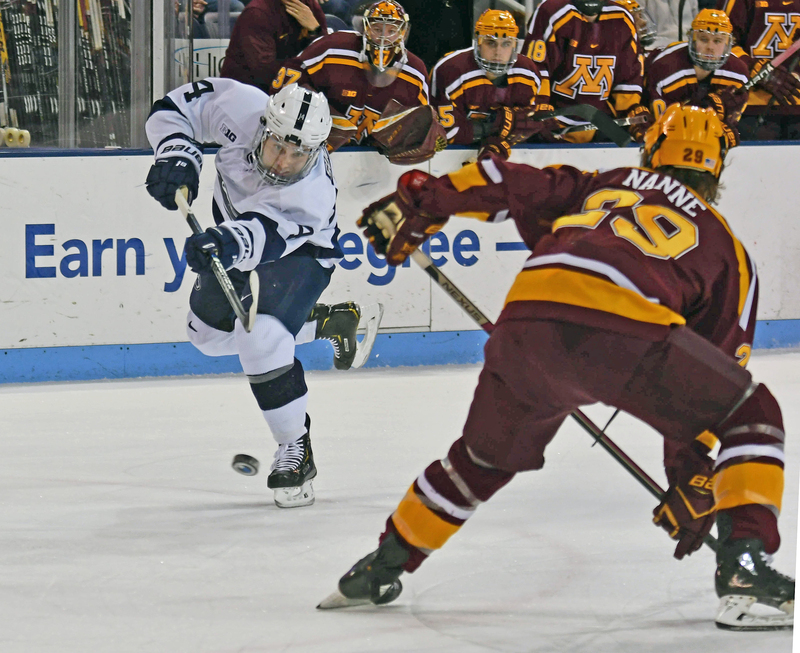 Penn State's Nate Sucese (14) lines up a shot with Minnesota's Tyler Nanne (29) on the defense. 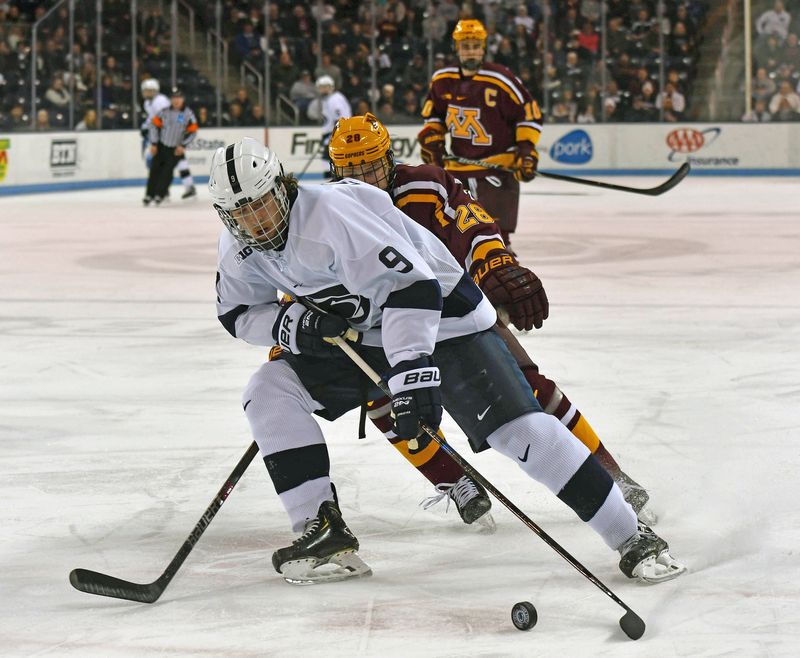 Penn State's Alex Limoges (9) drives to the net as Minnesota's Sam Rossini (28) defends against. 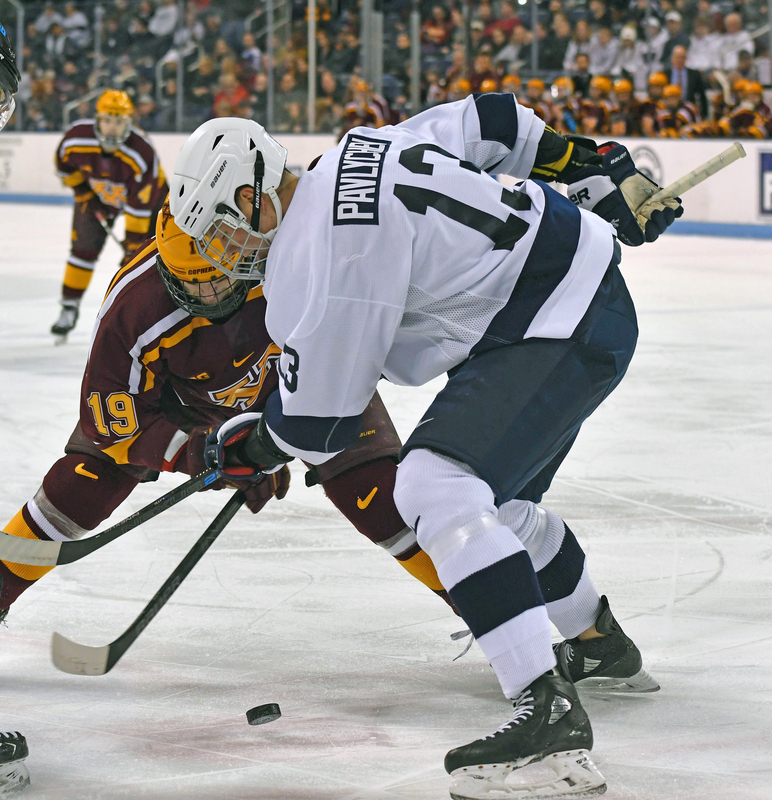 Minnesota's Scott Reedy (19) faces off against Penn State's Nikita Pavylchev (13). Minnesota's Sampo Ranta (58) battles against Penn State's Kris Myllari (5). 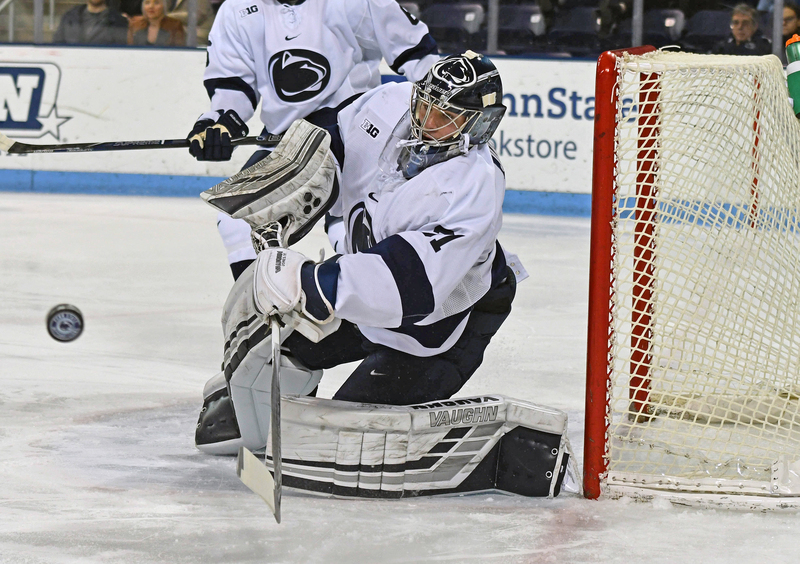 Penn State goalie, Peyton Jones, deflects the puck during the series against Minnesota. Penn State's Cole Hults (2) takes a Minnesota player to to the boards during their weekend series. 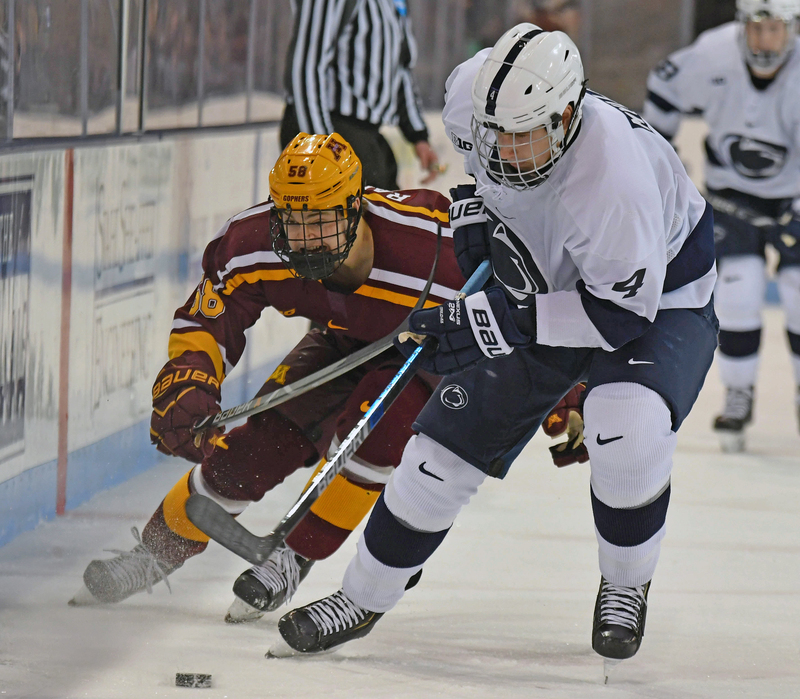 The 18th-ranked Penn State Nittany Lions opened the weekend with five-straight goals and closed the weekend with five-straight goals to complete the sweep over Minnesota with a 6-2 victory on Saturday evening in Big Ten Conference action from Pegula Ice Arena. Penn State improves to 16-10-2 on the year and 8-9-1-1 in conference action following the victory while the Gophers fall to 11-14-4 overall and 8-9-3-0 in Big Ten play. 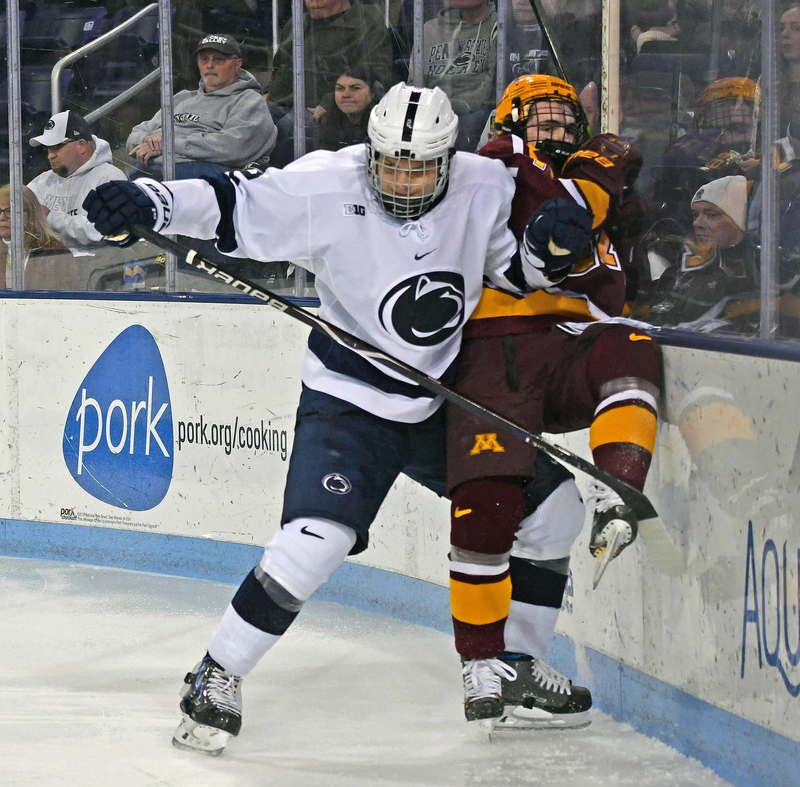 The Nittany Lions outscored Minnesota 13-4 over the weekend.